Eskandar sweater in sideways knit. For in-store inquiries, use sku #2427087. A.L.C. 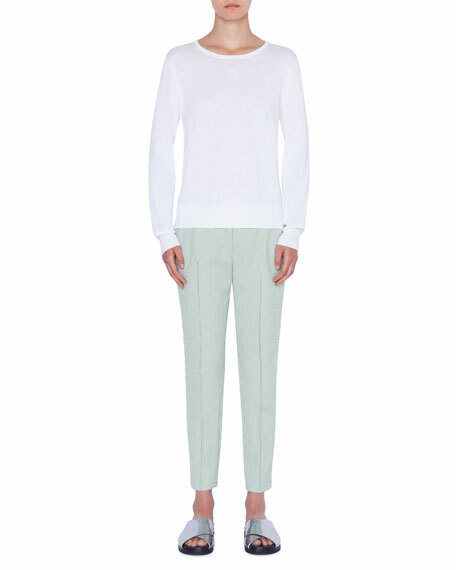 "Webster" sweater in two-tone cashmere-cotton knit. Crew neckline. Dropped shoulders. Long sleeves. Oversized fit. Pullover style. Straight hem. Cashmere/cotton. Imported. 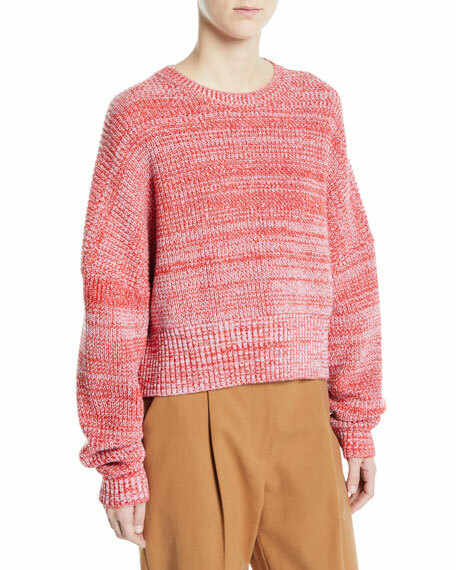 Akris punto sweater in cotton knit with box-pleated poplin back. Boat neckline. Long sleeves. Semi-fitted. Vented sides. Ribbed hem and cuffs. Pullover style. Cotton. Imported. 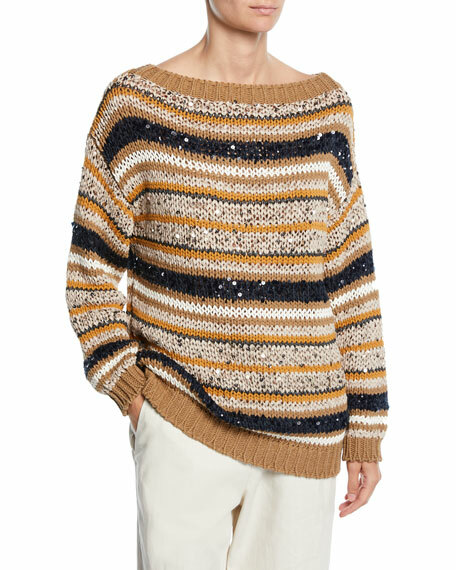 Enza Costa sweater in cashmere-blend with extended ribbed cuffs. Crew neckline. Long sleeves; thumb loops. Slim silhouette. Slipover style. Cashmere/cotton. Made in USA.